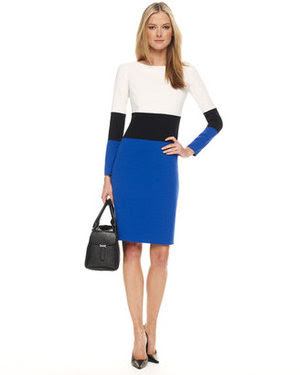 A reader wrote in awhile ago looking for a more affordable version of this Michael Kors colorblock dress, which retailed for $1995 (no longer available). I found a fantastic lookalike (finally!) and it is currently on sale for $99 at Last Call. Click HERE or on the image below to purchase or for more information.